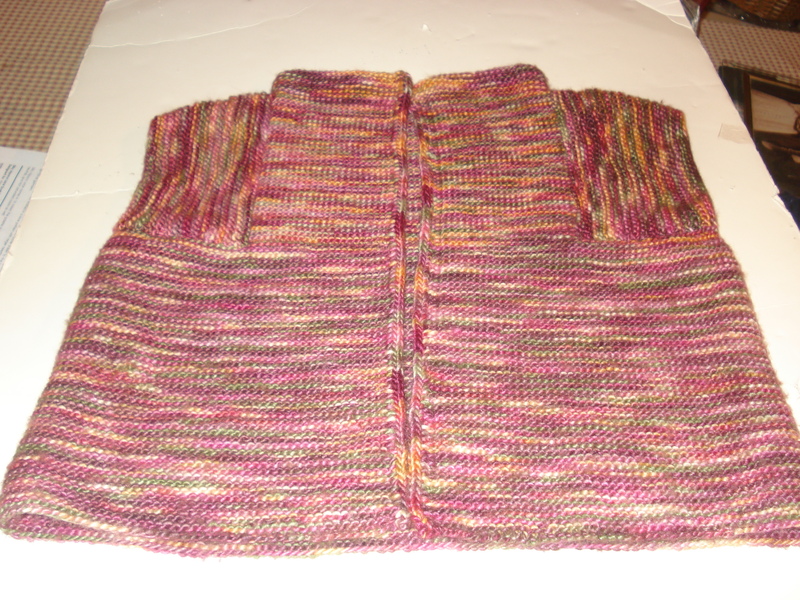 She has been working on a Tomten Jacket (design by Elizabeth Zimmerman)…..one of my favorite children designs (which can also be knit in adult sizes). It’s simple, practical, and elegant…all at the same time. 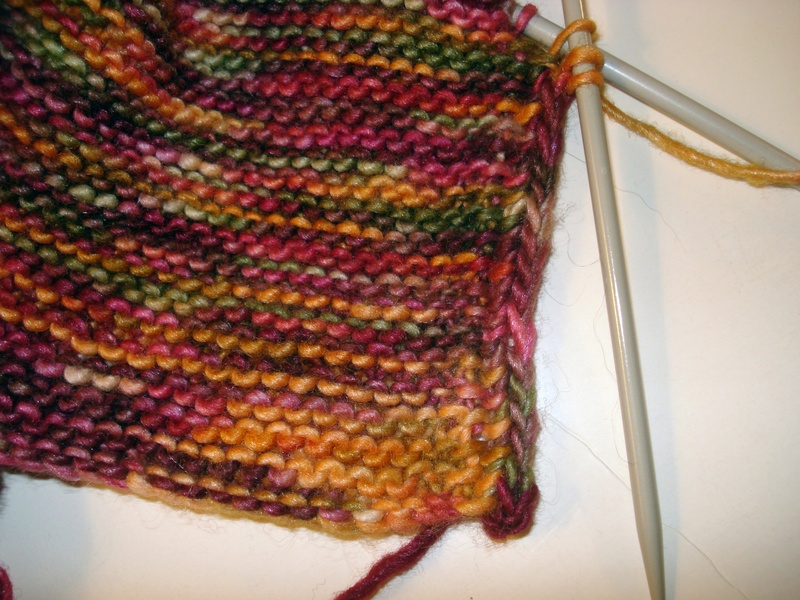 In this case, Marsha was worried about enough yarn…she was using a sock yarn that was also taking a lot of knitting time. 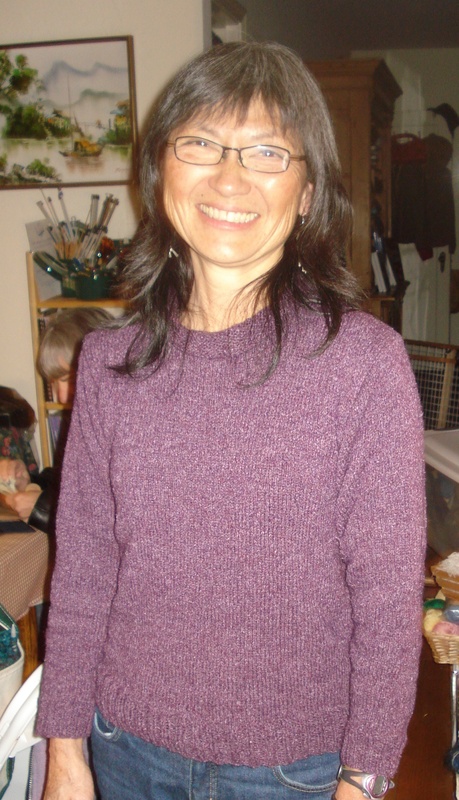 So….in the interest of time and yarn she decided to knit the sleeves “short” to fit so that sleeves fit right into the armhole but were only long enough to line up with the body of the sweater. Remember that this design has the sleeves “set” into the body. 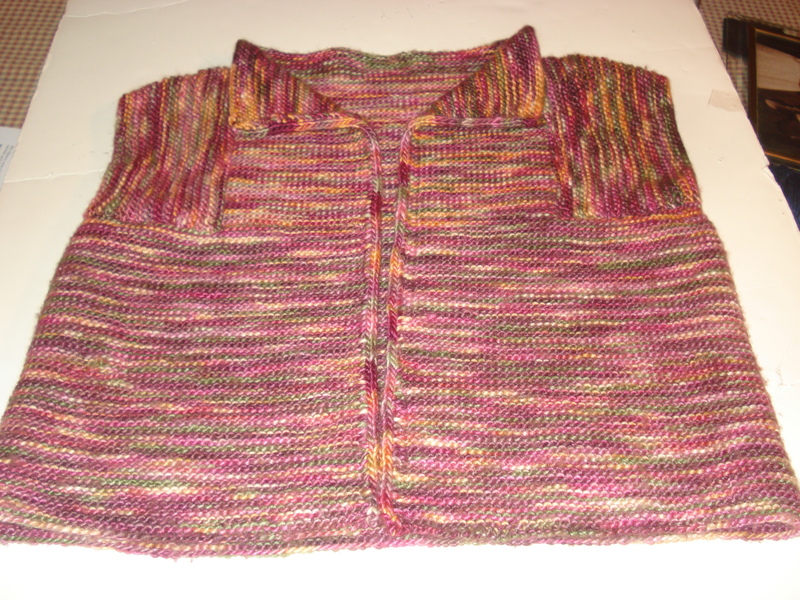 This design also has a hood, but Marsha chose to convert that into a collar by leaving the hood off. This version can either be a stand-up collar or roll back. Isn’t it great to be so inspired by a pattern design that you can add your own touches? Marsha did a beautiful job of the I-cord trim. She is now looking for the right closure. Will it be a frog that she creates from I-cord or will it be a shopping trip to Stone Mountain and Daughter Fabrics in Berkeley for the best closure. Stay tuned! Oh…and remember the Tomten is a modular jacket…any size yarn can be used…just need to get the propotions right…..1/4 of total stitches = back; 1/2 of total stitches = 2 armholes; and 1/4 stitches = 2 fronts. This pattern is available through School House Press.